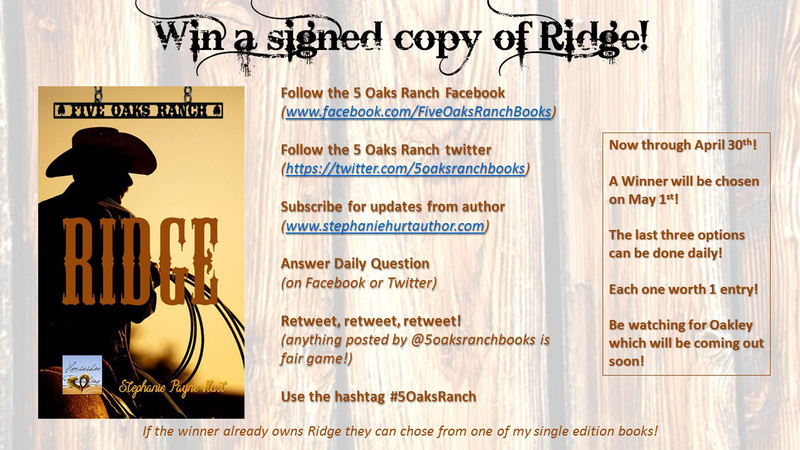 Day 2 of the Ridge Giveaway! Categories: Uncategorized | Tags: #5OaksRanch, Books, cowboy romance, giveaway, Paperbacks | Permalink. Categories: Author, Books, Country, COwboys | Tags: #5OaksRanch, #amwriting, Advertisement, Author, Avon Romance, avonromance.com, Books, characters, Contemporary Fiction, contemporary romance, cowboy romance, Cowboys, Facebook, giveaway, Twitter | Permalink.